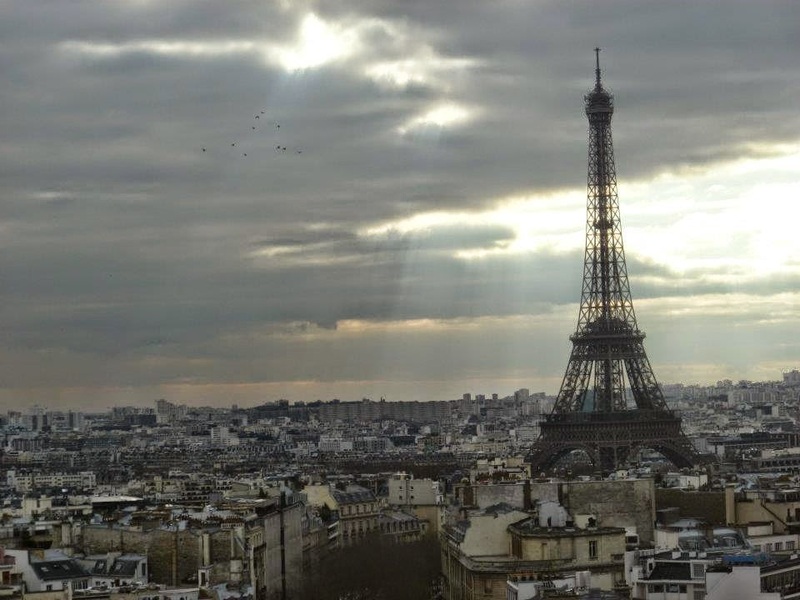 "You can't do Paris in only a day! ", I'm sure many of you are exclaiming, but sometimes all you have is a day (for example, when you are doing a tour and it only stops there for a day, which was one of my experiences), so you have to make the most of it. The following is based on how we did Paris in one a day, during my first trip to Paris. I feel I must forewarn that I think it was only possible to fit that much in because we went during off peak season (January) and therefore there were barely any lines for anything. If you are going in say, July (which is when I visited the second time round), I would strongly consider visiting for more than just a day (unless you are satisfied with just grabbing a quick selfie with these monuments as you pass them). We started the day off at the Louvre. 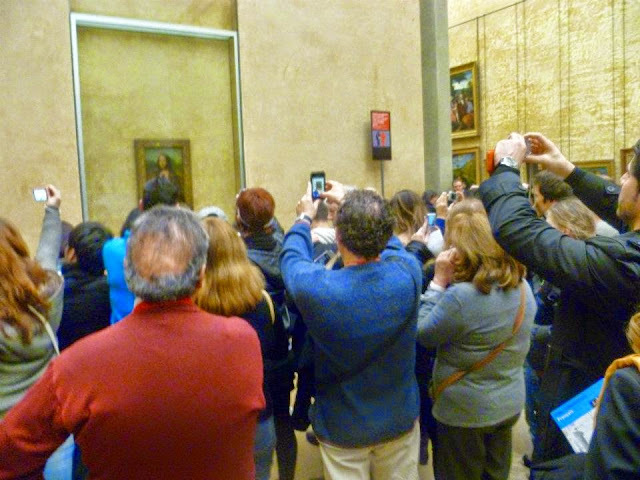 It has been estimated that to see everything in the Louvre it would take you about nine months! Clearly you could dedicate more than just a whole day here but if you are restricted in regards to the time you have, enter the Louvre with a plan rather than wondering around aimlessly. Pick up a map at the door and pick out the pieces you want to see (The Mona Lisa and the Venus de Milo were high on our list) and plan your walk around that. The day we visited there were no queues so we were able to enter from the main entrance (near I.M Pei's glass pyramids), however if there is a queue try entering through the Louvre Carousel shopping arcade or the Louvre Rivoli Metro station. 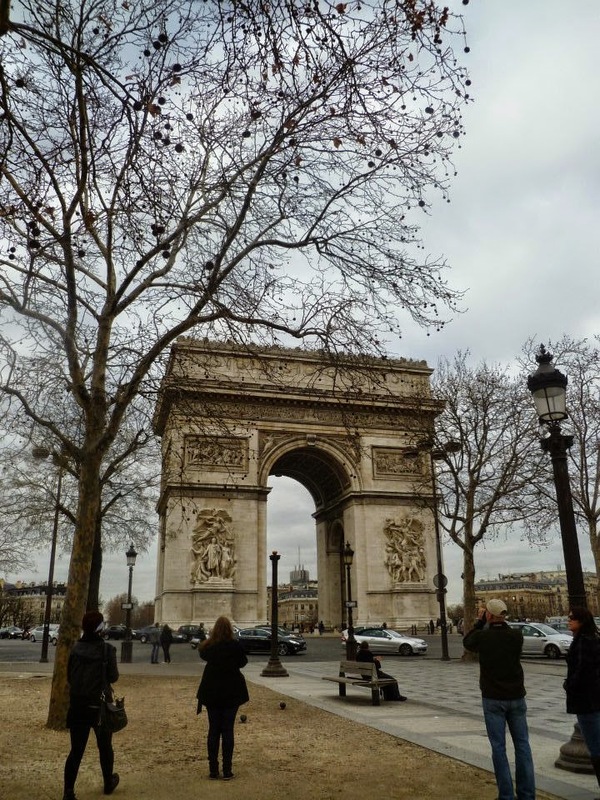 From the Louvre, we headed up the Champs- Elysees towards the Arc de Triomphe. Located along the Champs-Elysees is Laduree, a luxury cake and pastries store famous for making the macron what it is (best macron I have ever tasted, by far). Entry into the Arc de Triomphe will cost you 9 Euros and after climbing a spirally staircase consisting of 284 steps you will be rewarded with a spectacular view of Paris, one of the few panoramic views of Paris that includes the Eiffel Tower. Rest time, and lunch time. 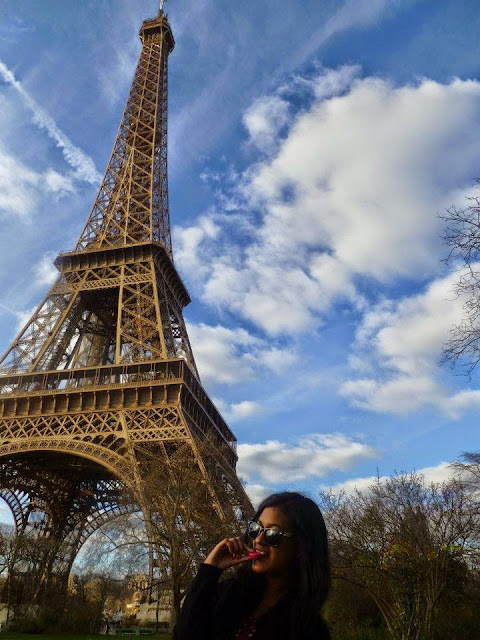 When in Paris, why not picnic under the Eiffel Tower like we did. Grab some cheese, wine and baguettes (and whatever other stereotypical things you can think of) and be in awe of your view while you eat. Once again blessed with no queues we had a quick entry into the Eiffel Tower ( 8 euro to second floor, 13 to the top). After the Eiffel Tower we headed down the River Seine, in the direction of the Notre Dame. On this walk you will come across at least one "Lock Bridge". 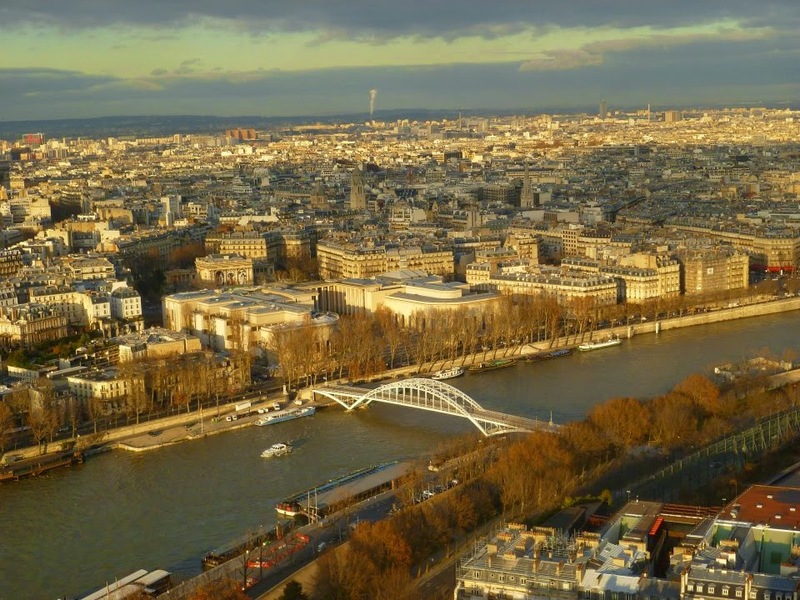 The story is a couple writes their names on a padlock and locks it onto the bridge; they then throw the key into the Seine as a symbol of their everlasting love. I recommend a quick detour along this walk to the Galeries Lafayette, a famous French department store. Scale up the many levels up to the food court where you will find another wonderful view of the Eiffel Tower (by then we had worked up a bit of sweat and could feel the build up of Parisian grime, so we may have stopped by the perfume counters to smell and sample a few fragrances). When we reached the Notre Dame, we caught our tour bus to the Latin Quarter where we had a dinner consisting of frogs legs and escargot, followed by a cabaret show at Le Paradis Latin (one of the oldest cabaret shows in France). That was our day in Paris. Obviously a day is not enough and we did miss out on a couple of attractions (for example the Moulin Rouge and the catacombs) but we did make the most of it. I must once again note that this was during off peak so no crowds and tiresome queues to slow us down. Stayed tuned for next week, where I talk about Paris Take 2, the more chilled and relaxed round. I hope I get to go back and visit one day in the near future. Yes to having a plan for the Louvre! I think you really can do a lot in Paris in one day. Well you got wine, cheese, baguettes, the Eiffel tower, pastries, and the Mona Lisa - sounds about right for doing Paris in a day! Funny about sampling the perfumes/colognes in the department store, I've definitely done that on a long day while traveling - sometimes you just need a spray of something nice smelling on you after walking around a city all day. WoW! So much in one day - you've planned it perfectly!!! Awesome! Sounds like just exactly the way I'd need to see Paris, and we would probably even skip the Louvre so I guess that gives a little more time for wandering. It's one of those places that I want to go for the sake of going but don't really feel the need to explore in depth.